The design of the Timbre Collection will be the perfect addition to your dining decor. 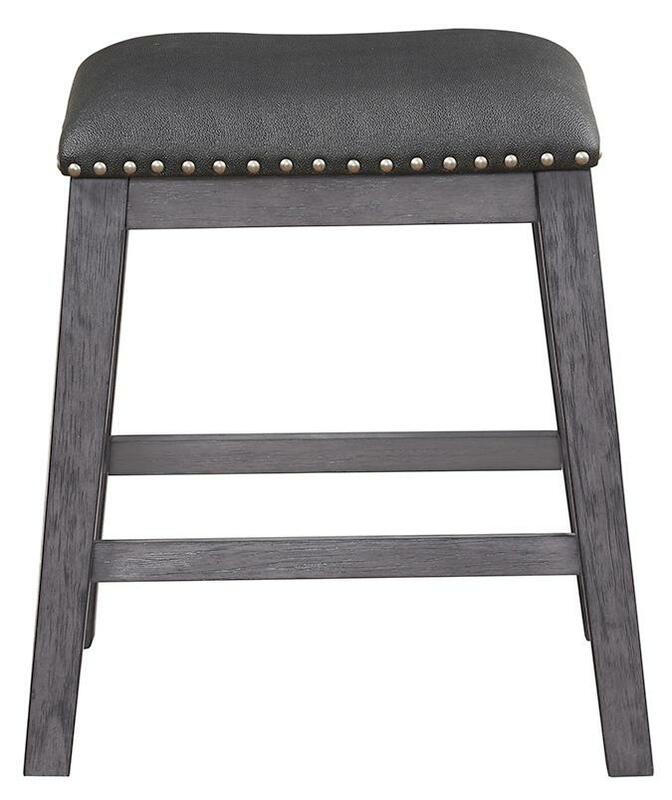 Textured vinyl padded seat tops of the stools plus features nail-head accents for added decorative flair. Sold in pairs only. FEATURES: Gray Finish ~ Transitional Style ~ Wood Framing Bases ~ Textured Vinyl Padded Seats ~ Nail-Head Accents.